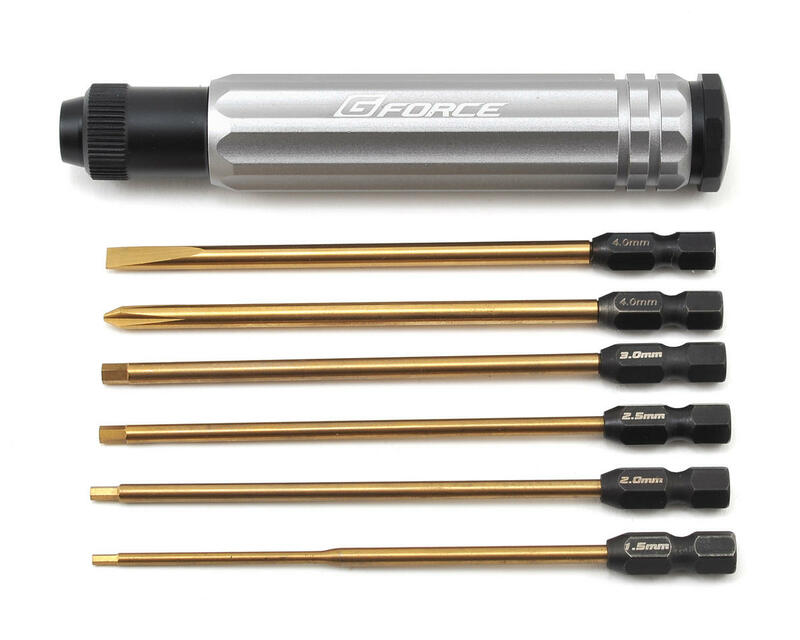 The GForce 6 in 1 Torque Driver Set is a revolutionary product, developed for drivers that demand perfection. 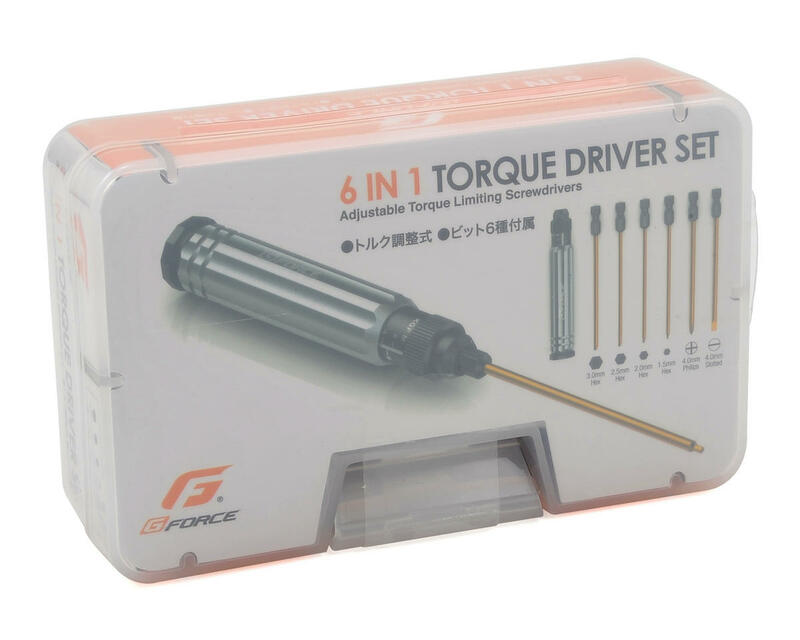 This driver allows the user to set specific torque values from 2 to 8 KGF.M, so once you determine the correct value for each screw, you can tighten it to the exact same tension every time. This will help to prevent stripped screws, tweaked components, and adds a level of precision that the RC world has never known. NOTE: To keep the tool functioning correctly, it is critical that you release the tension on the torque adjustment nut during storage. I really like this handle, and I was surprised that the tips were pretty good. They are still backups to my MIP tips, but I use the MIP tips with this torque driver. The handle can be set so that you will not strip plastics when driving things. It works and it feels nice. Expensive but nice.